Valentine’s Day is right around the corner, but after cleaning out the bank for this semester’s textbooks, the thought of purchasing a gift may be cringe-worthy. Instead, try a handmade gift. 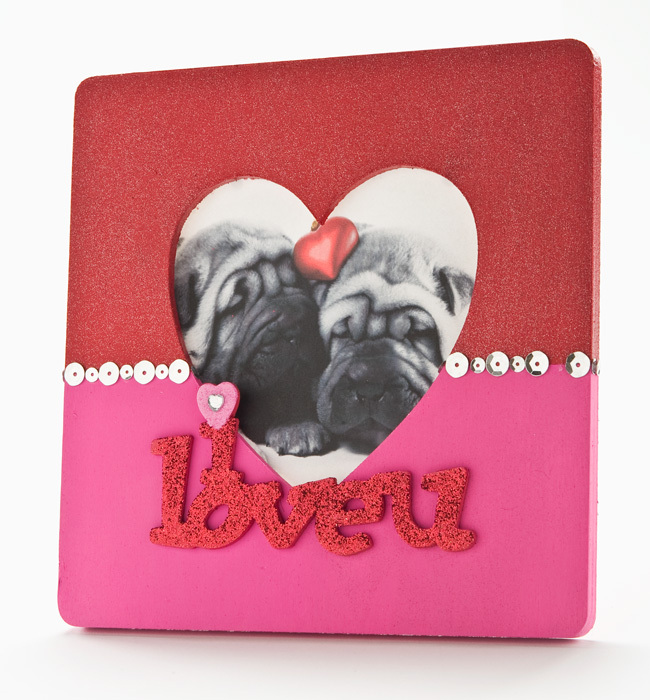 These are just a few ideas and tips for creating a gift for Valentine’s Day. First, don’t procrastinate! Take this as a cue to start planning: no one wants a gift that looks like it was pulled out of a 5-year-old’s backpack. There simply is no amount of kisses that can make up for a rushed gift. With an early start on gift-making, there will be ample time to actually put some thought into it. Impress your special someone with genuine and thoughtful effort. Think of a list of activities he or she would like to do that aren’t a typical first choice (e.g. fantasy football) and a miscellaneous section for activities, such as massages. Type the list with a description and expiration date on each page. Feel free to experiment with fancy fonts or download a gift certificate template, and then print it. If there’s time, swing by the library or office supply store to see if they’ll laminate and bind the pages. Some special materials are needed: a wooden frame, a small bottle of quick-dry paint (or two for another color) and wooden shapes from a crafts store, such as JoAnn Fabrics and Crafts. To start, paint the frame and the shapes. While waiting for the paint to dry, plug in a hot glue gun. This will allow it to heat up for the next step -- applying the wooden pieces. To add a personal touch, use a Sharpie or glitter glue pens to write a poem, inside joke or adjectives to describe the relationship. To kick this project up a notch, create a photo album -- a scrapbook dedicated to the memories created together. This is a project just for the "Hello-Honeymooners." For the long-time love birds, creating a time capsule could be fun. This provides bonding time; however, be careful to avoid subjects that could ruin the lighthearted mood, like marriage and children. Instead, focus on activities to do together or favorite foods and places. To get started, gather a shoebox, decorations and magazines. Decide on how to decorate the box and begin; don’t be afraid to be creative. Paint the box, adding wooden shapes and other decor to give the outside a festive look. Once you’ve completed the exterior, begin adding to the inside. Work together to make a list of goals for the future, especially concerning the relationship. Also add magazine clippings that illustrate the envisioned life, such as a picture of a vacation destination. For a special touch, cut some colorful paper into strips, and write adjectives on them that describe each other. This can go inside as well. 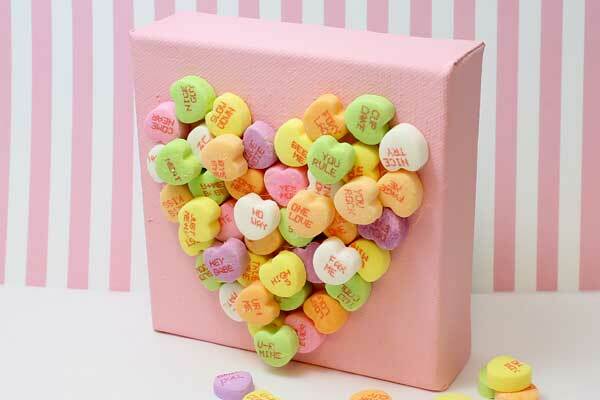 If seeking additional items to add to any of these DIY projects, try sweethearts. They can be used as confetti, decor or just a sweet treat. Although we’ve provided Cupid’s targets with some pretty awesome DIY gift ideas, try brainstorming some personal creations. After all, there’s nothing like a gift from the heart.